Rice University has got itself some new baseball jerseys, and they've got owls on them. It's a logical choice, because Rice's sports teams are all named the Owls. Rice has got owls on its seal, and on its logo, and the kids apparently do an "owl" hand signal to let you know they're Ricers. Owls are a thing, understand? 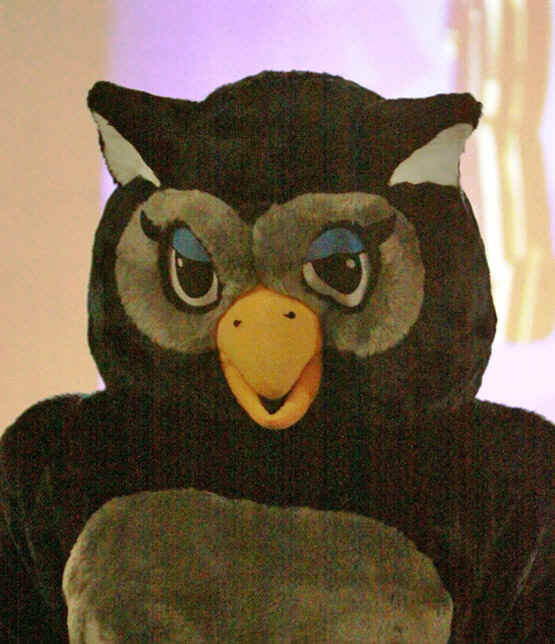 As far as I can tell, no specific species of owl is used for the Rice Owl owl. The use of owls comes from their seal, which uses stylized versions of the old Owl of Athena image, representing "wisdom." 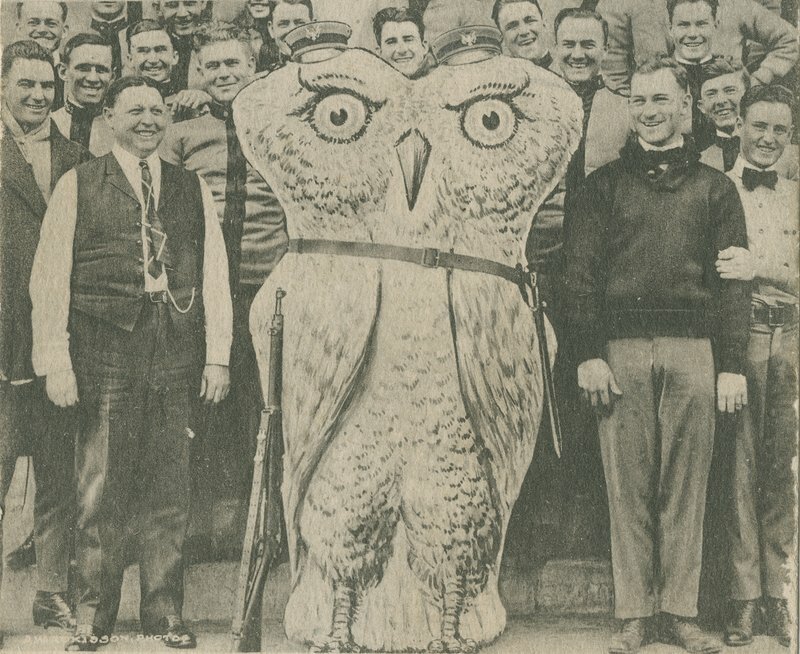 Without a specific species to base its designs on, Rice has taken liberties with its use of the owl, employing this thing, whatever the heck this is, and this come-hither bird. The new jerseys are a nod to the classic "birds on the bat" logo of the St. Louis Cardinals in the pros. It looks pretty nice - lovely stitching and I love how the bat goes through the top of the R. Gotta admit, it really bothers me that the birds aren't a real species. Why not? Why not just do it? That's the thing that bugs me most about these Birds at Large posts. It takes so little effort to just make it a real bird. This guy was obviously modeled after Great Horned Owls...why not just slap a little orange around the eyes? Great Horned Owl plumage is not copywrited! I dunno. Maybe they didn't want to introduce another color for cost reasons and fine (though you could probably fleck with the yellow and brown), but if you're gonna do something, do it right. Rice you were close to something perfect, but it looks like your streak of owl insanity will continue.